Copyright law protects materials available in MICE CENTRAL & EASTERN EUROPE magazines or MICE CENTRAL & EASTERN EUROPE website. Copyright 2007 © MICE CENTRAL & EASTERN EUROPE. All rights reserved, the trade label is registered in the International register of trade in Geneve, Suisse, based on Madrid´s agreements in the international law level. 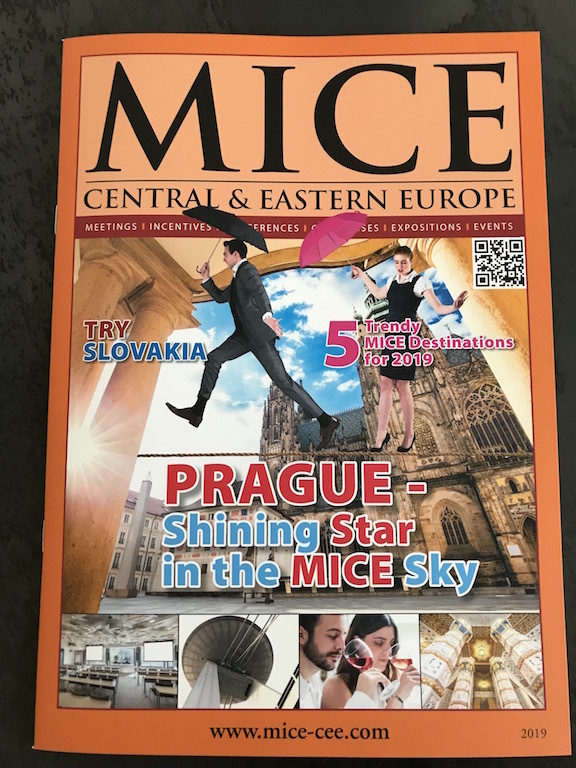 No part of the materials available in MICE CENTRAL & EASTERN EUROPE magazines or MICE CENTRAL & EASTERN EUROPE website may be copied, photocopied, reproduced, translated or reduced to any electronic medium or machine-readable form, in whole or in part, without the prior written consent of MICE CENTRAL & EASTERN EUROPE. Any other reproduction in any form without the permission of MICE CENTRAL & EASTERN EUROPE is prohibited. Copyright © MICE CENTRAL &EASTERN EUROPE. All rights reserved.